This Georgian Colonial located at the top of Newstead is one of South Orange's finest, offering 6 generously sized bedrooms, 4 full & 2 half baths, 2 car oversized garage, seasonal NYC views and many upgrades. The recently renovated kitchen will please the most discerning chef with gleaming white cabinetry, expansive granite and quartzite countertops, Wolf 60" dual fuel range, SubZero refrigeration, two dishwashers and several pantry closets. Most baths have been renovated to perfection and the expansive rear deck offers al fresco entertaining. Custom millwork abounds featuring a sweeping circular staircase and intricate moldings throughout. The expansive lower level offers additional living space while the sunroom offers an outdoor experience all year round. Just steps from the NYC jitney. Prepare to fall in love. If all of the "must have" amenities comprised the wish list of the most discerning homebuyer, this 'five star' South Orange Georgian Colonial home would most certainly exceed expectations. Superbly outfitted with refined attention to detail, no architectural element has been ignored. Elaborate original moldings, hardwood flooring, high ceilings, wide entries and an enviable center hall floor plan set the tone for its formal rooms where comfortable elegance reigns supreme. A three-season room with bifold doors from the living room features multi-season entertaining and al fresco dining space. At the heart of the home is a fabulous renovated kitchen and breakfast area with sliding doors onto the outdoor deck for easy entertaining. 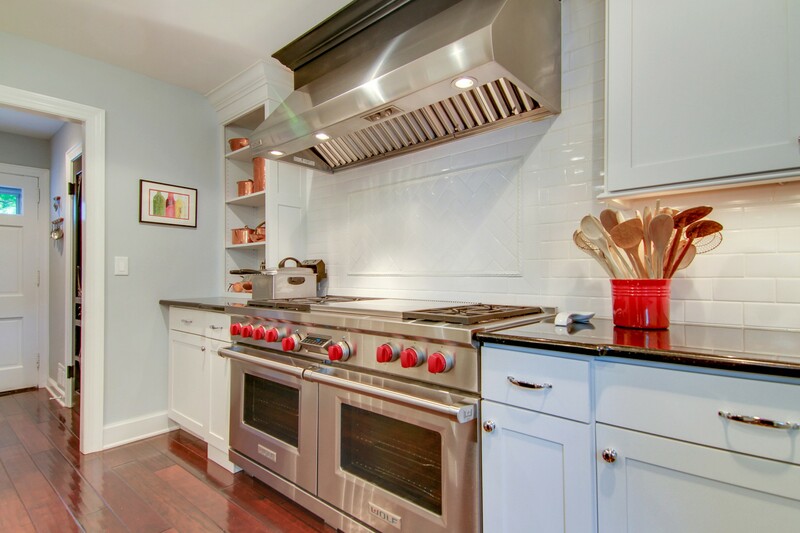 The state of the art kitchen was built with the most discerning chef in mind. Offering white custom cabinetry, gleaming granite and quartzite countertops, Wolf 60" dual fuel range with six gas burners, French Top and two electric ovens, SubZero refrigerator, two dishwashers, ample storage and multiple pantries, your kitchen will be the neighborhood's envy. The contrasting white cabinetry with dark center island makes a statement, set against blended light and dark countertops and rich wood finishes. 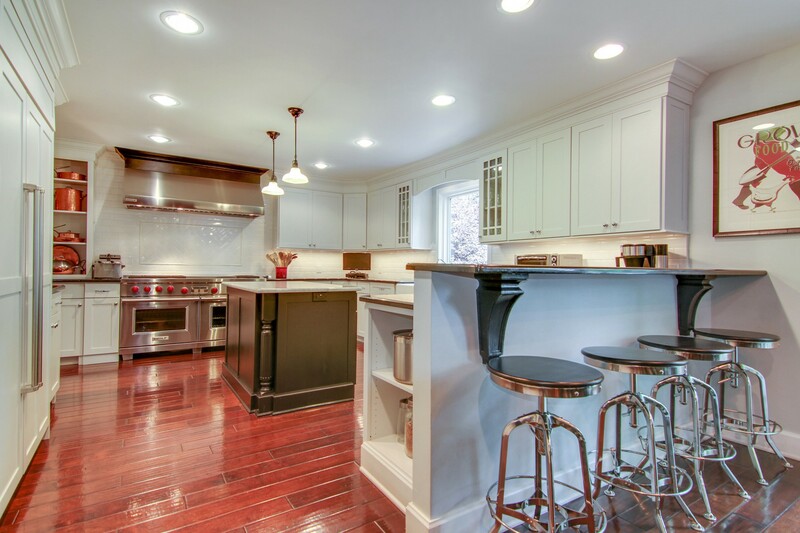 Add an elegant Butler's Pantry and deck access and you have your dream kitchen! Nearby, overlooking the vast yard, the family room is wrapped in rich wood paneling, detailed trim work and built-ins for additional storage. A convenient back staircase leads to the second floor of the home from the kitchen. 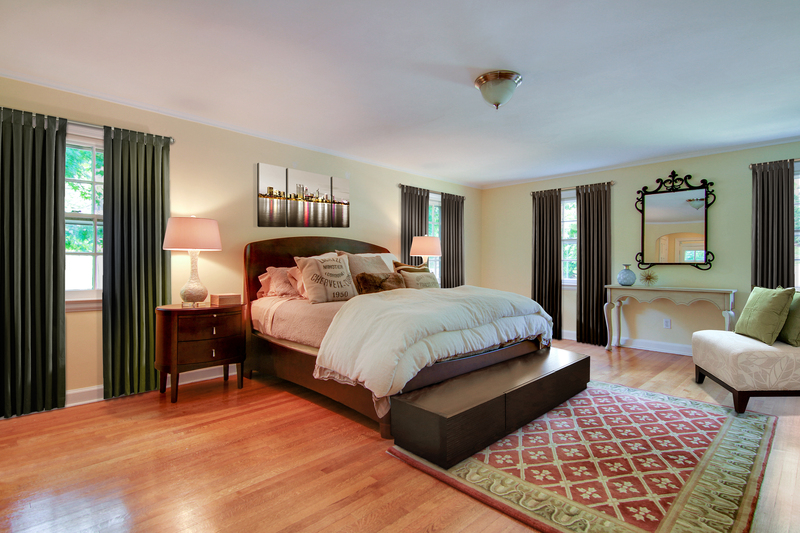 Once on the second level you will find four bedrooms in total, including an enviable master suite. Two of the bedrooms share a completely renovated Jack and Jill bath, while another bedroom enjoys a private bath via hall access. The master suite offers generous space, with five closets, dressing area and an en-suite bath. Two well-appointed third-floor bedrooms, each with their own distinctive achitectural flavor, have custom-fitted closets and share a renovated full bath. 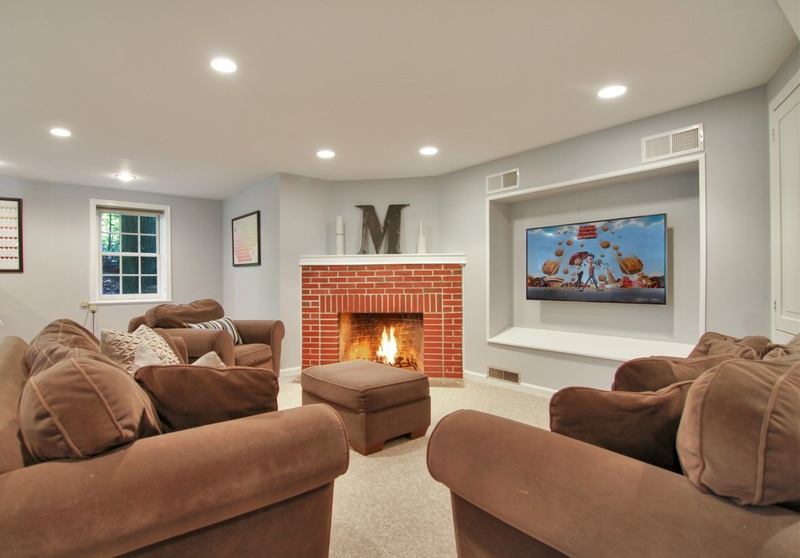 The expansive, walk-out lower level enhances the leisure components of the home, incorporating a media room with wet bar, exercise area, recently renovated half bath, large storage room and expansive laundry area. Recently carpeted and featuring a wood-burning fireplace, it awaits a very fortunate buyer. 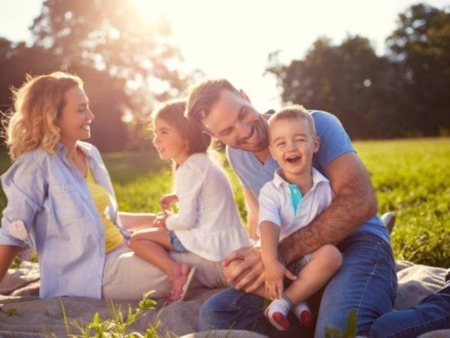 Central air conditioning and forced air heating are essentials of the sophisticated mechanical systems that are designed to address the comforts of the homeowner -- creating a little slice of heaven and the perfect place to call home!